When we are traveling, certain things can be a hassle to bring; computers are heavy, cameras are bulky, notebooks are flimsy. Luckily, we live in an age of technology that has put these three things, and many more, in the palm of our hand. Our mobile phones have become extensions of ourselves, containing everything from pictures and music to dating profiles and online alter-egos. Our phones can do almost anything. Although, when you don’t have service or a wifi connection, those possibilities become limited. Especially when traveling, it can become quite the inconvenience not having a constant wifi connection, but we manage. With our phone’s camera, there is little else we need, but what about the words that go along with the pictures? What about the all the other things you did that the camera didn’t capture? That is when a travel journal app comes in handy. Why Use a Travel Journal App? When wandering the world, a travel journal helps you keep track of it all and an app allows your journal to wander with you. Don’t worry about bringing a notebook or waiting to write down the things you don’t want to forget. Bring your mobile device and right down whatever you want, whenever and wherever. You know what you don’t take everywhere? A pen and a notebook. You know what you do take everywhere? Your mobile phone. With your digital diary app, your travel writings go where you and your phone go. Jot down quick notes or record long entries, you can write as much or as little as you want. Your diary software can be used to remember experiences just as much as it can be used to remember names, addresses, phone numbers and directions. There is no better software for a traveler or a writer. And certainly no better app for someone who is both. Penzu’s mobile app software lets you access and write in your travel diary from anywhere, whether it is from a five-star hotel in London or an internet-free tent in Patagonia. By using Penzu’s free software, all of your thoughts and memories are saved in one place. They are saved as you write and all entries can be searched and found if forgotten. Penzu keeps your journal private. Only you can view it, unless otherwise dictated. Once you have signed in, you can put a lock on your journal, which will require a password each time it is opened. Your travels are more than the words you use to describe the places you’ve been. Penzu lets you upload pictures to your diary, so your entries can become visual delights as well. The appeal of Penzu is that it is intuitive and easy to use. There is nothing to fuss over when using this mobile software. As long as you remember to write, this program will do the rest. They say the best things in life are free. Penzu’s mobile app is no different. Don’t be caught on an adventure without a travel app again. 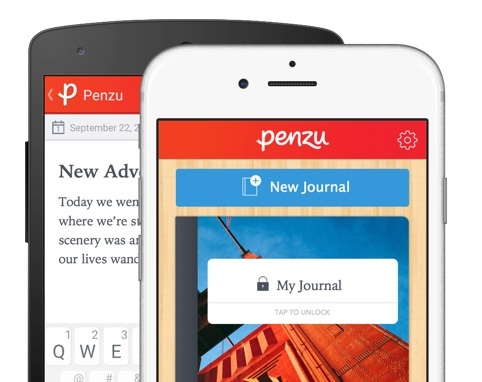 Download Penzu today and let the good times (and the writing of them) roll!